In 2001, Cassidy was but a 19-year-old Philly rapper bubbling up through the ranks and was signed to Full Surface Records. Freeway, also from Philadelphia, had only recently joined Roc-a-fella’s family, having parlayed a high school battle-rapping career into a membership in State Property after being noticed by Beanie Sigel. This legendary battle, hosted by Swizz Beatz in New York’s Hit Factory studios allegedly came about after Jay-Z and Swizz placed bets on whose roster had better upcoming talent. 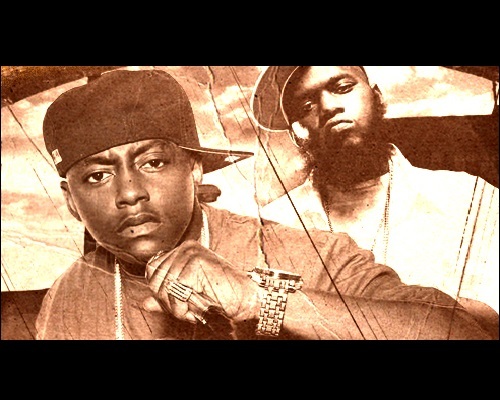 For five rounds, Cassidy and Freeway went at one another with rapid-fire rhymes, pre-written as they were. Cassidy won the day with lines like, “Clap, turn your Sixers hat to a headband” and “I aim for your neck and catch your head if you duck.” (Note: Freeway blamed his loss on having used his best bars on the radio that morning, as well as an acapella format that just didn’t work for him. Still, the rules are the rules.) Cassidy and Freeway continue to be asked about the battle to this very day, though it happened well over a decade ago. This entry was posted in Cassidy, Freeway and tagged Battle Rap Lyrics, Cassidy, Cassidy vs Freeway Lyrics, classics, Freeway, Freeway vs Cassidy Lyrics, Rap Battle Lyrics. Bookmark the permalink.